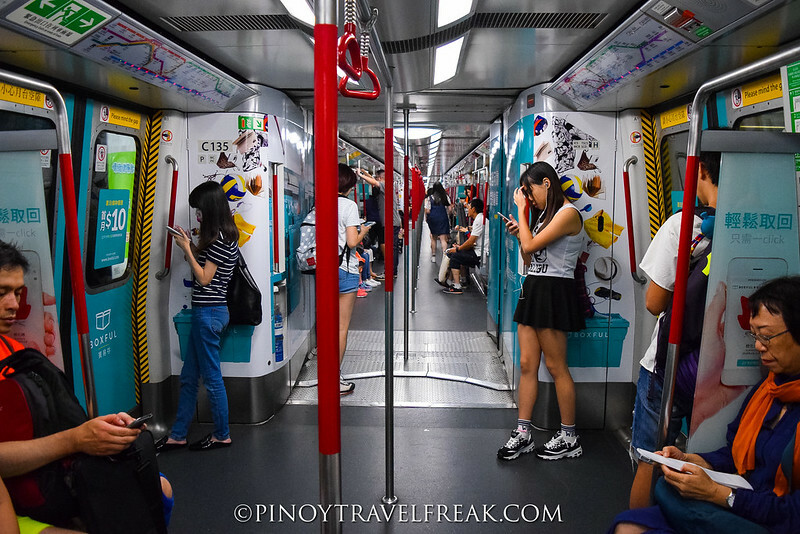 For most Filipino tourists, Hong Kong is a bustling city with high-end malls, endless skyscrapers and modern attractions. These make Hong Kong a popular destination for family trips and group of friends who would like to experience a little bit different outside the country without traveling too far away and worrying about visa requirements. Hong Kong is without a doubt a fun and vibrant city. As a first time traveler in Hong Kong, I instantly fell in love with it. The magnificent skylines, efficient transportation, amazing food and endless shopping are some of the reasons I enjoyed my first visit. Underneath the surface, this Chinese city is also brimming with culture and varied history. Hong Kong is such a melting spot of cultures and what I like is that this rich cultural heritage is being preserved for everyone to learn and experience up to this day. 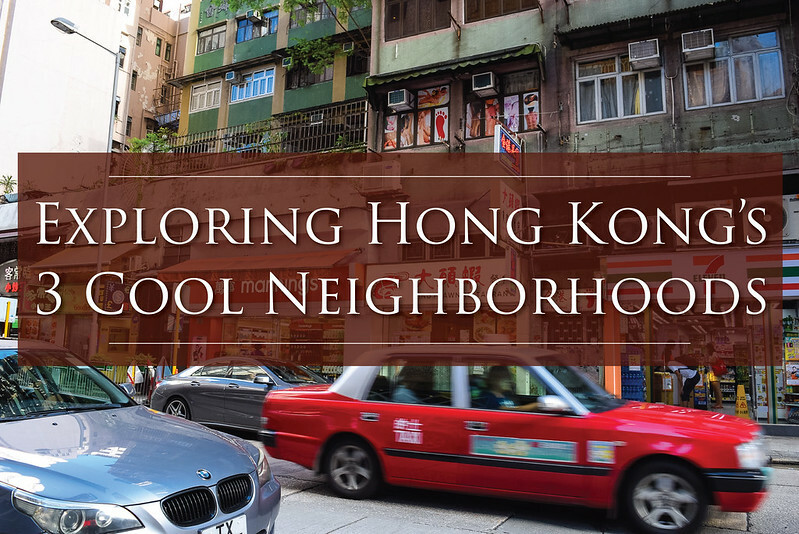 In my recent visit to Hong Kong, I've mentioned that I decided to get to know more some of Hong Kong's charming yet cool neighborhoods that most tourists miss out. 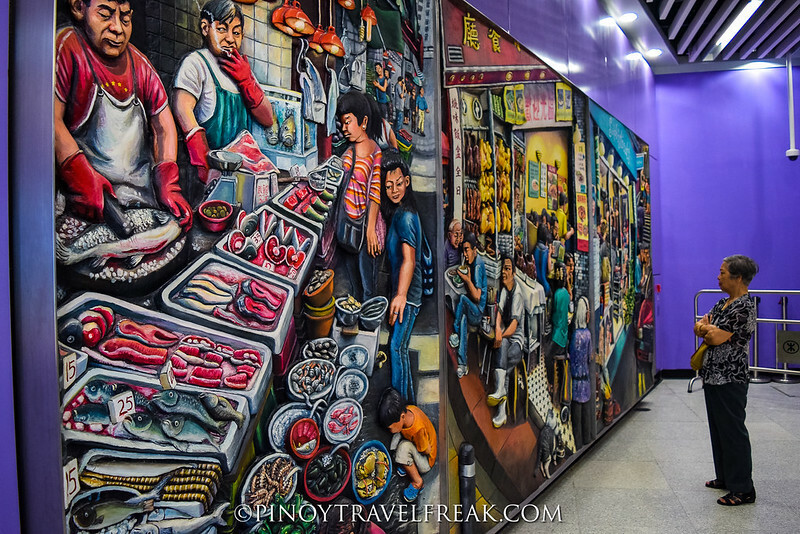 If you are like me who is interested to experience Hong Kong's hidden gems and local scenes, check out these three cool neighborhoods I managed to explore in a day. These places are very accessible by Hong Kong's rapid transit railway system called MTR or Mass Transit Railway. 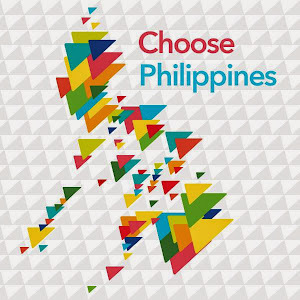 For those who aren't familiar, it's like Manila's MRT but more efficient, faster, modern, and most of all reliable. It's a common mode of public transport in Hong Kong. To get to these places, you need to take the Island Line, one of the 10 lines of the MTR. It is represented by color blue in the MTR map. In 2014, the Island Line was extended with the addition of three more stations in its westernmost side, namely Kennedy Town and HKU (opened in December 2014) and Sai Ying Pun (which was opened in March 2015). These stations are collectively called the West Island Line (extension of Island Line) and serve the areas they are located in. 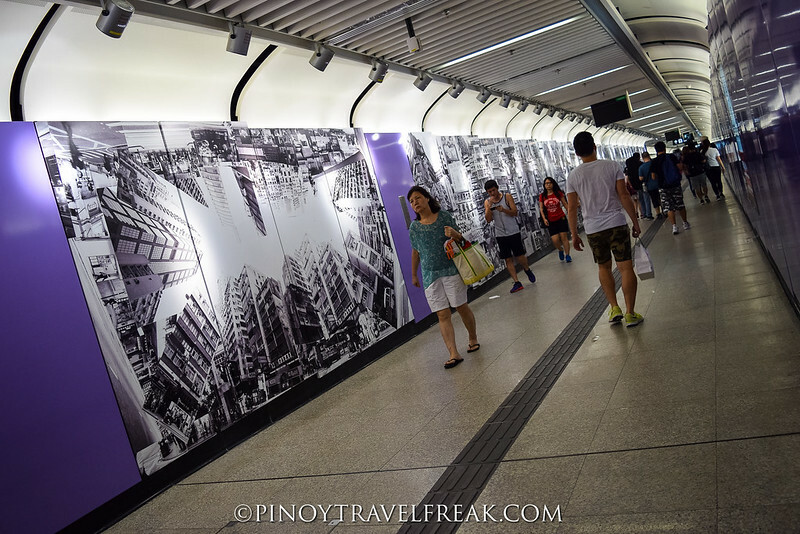 Without the extension of MTR's Island Line, Kennedy Town won't be that much accessible as it is today. 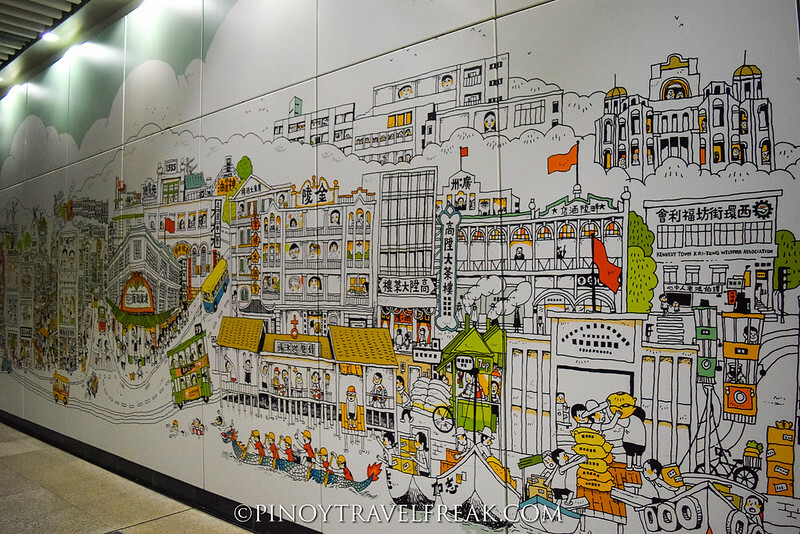 Kennedy Town is an area located at the western end of Sai Wan on Hong Kong Island and can be easily accessed from the Kennedy Town Station, the last station of the Island Line in the western side. Just a bit of history, it was named after Arthur Edward Kennedy, the 7th Governor of Hong Kong from 1872 to 1877. The first thing I noticed about Kennedy Town is the presence of residential buildings which gave an initial impression that this could be a boring place. However, I was wrong. There are places that might interest those who are after for laid-back, quiet experience. The first place I checked out is the Smithfield Market which serves the community. This neighborhood has an abundance of restaurants ranging from Japanese to Vietnamese, as wells as bars and coffee shops. 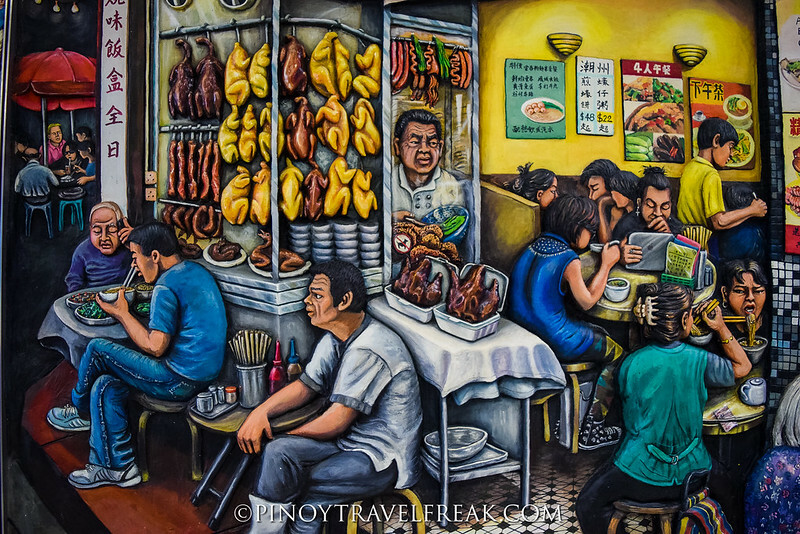 Sassy Hong Kong listed down some of the must-try restaurants in Kennedy Town. Since the station just opened less than two years ago, more business is expected to open years from now. Many consider Kennedy Town as Hong Kong's next up-and-coming hot spot. Even though I can see the development that's already happening here, I love how Kennedy Town retains its gentler and slower feel. Despite its urban setting, I never expected to discover a temple hidden somewhere among the towering residential buildings when I got there. Lo Pan Temple was built in 1884 and is considered a historic building. It is said that the temple was dedicated to Lo Pan (or Lu Ban), the patron saint of Chinese builders and contractors. Other spots that you can check out are Kennedy Town Community Complex, Kennedy Town Swimming Pool, Belcher Bay Park, and Sai Ning Street Garden. Normally, train or subway stations are attached to malls and hotels and this is the first time I've seen one connected to a campus. Right next to the Kennedy Town Station, HKU Station is also part of the West Island Line and serve The University of Hong Kong, informally known as Hong Kong University, which it was named after. As of its opening, HKU Station is the largest and deepest station in the MTR network. The University of Hong Kong is a public research university located in Pokfulam and is the oldest tertiary institution in Hong Kong (founded in 1911). HKU prides itself in excellence in scholarly research and education, and according to Wikipedia, their scientists is the first team in the world which successfully isolated the corona virus, the Causative agent of SARS. Awesome! If this isn't enough, HKU is also in the Top 4 Asian Universities according to Times Higher Education Asian University Rankings 2016. Looking at the map, my first impression of the campus was that it's very huge and it is, indeed. What amazed me about their buildings is keeping the colonial-style architecture while having modern facilities. In fact, HKU buildings are some of the few remaining examples of British Colonial architecture in Hong Kong. 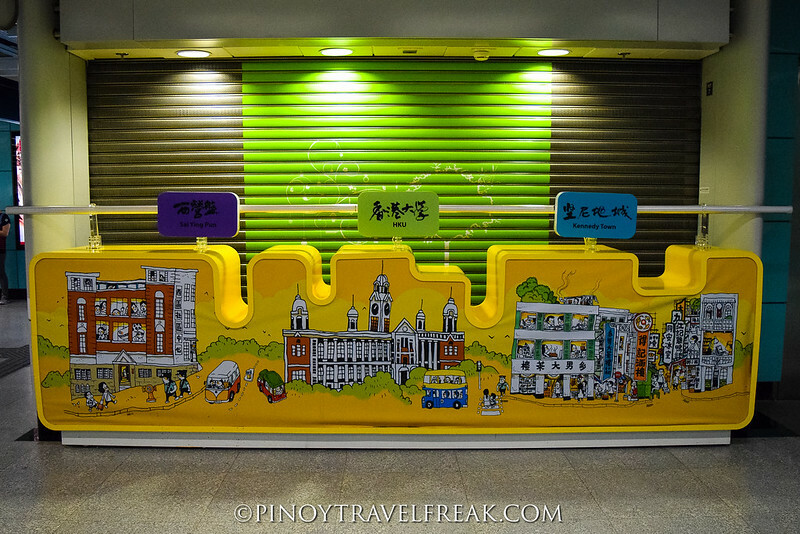 The next station after HKU which serves one of the oldest areas in Hong Kong is the Sai Ying Pun Station. Historically, it was previously a British military camp. Its name originated from two Chinese words, Sai which means "west" and Ying Pun meaning "camp". Just like Kennedy Town, Sai Ying Pun is considered a rising neighborhood where it comes alive at night with its cool yet sedate nightlife. Though I've yet to experience what it's like after dark. Hipster bars and restaurants are also abundant in the area and more is expected to open soon with the opening of new MTR Station. 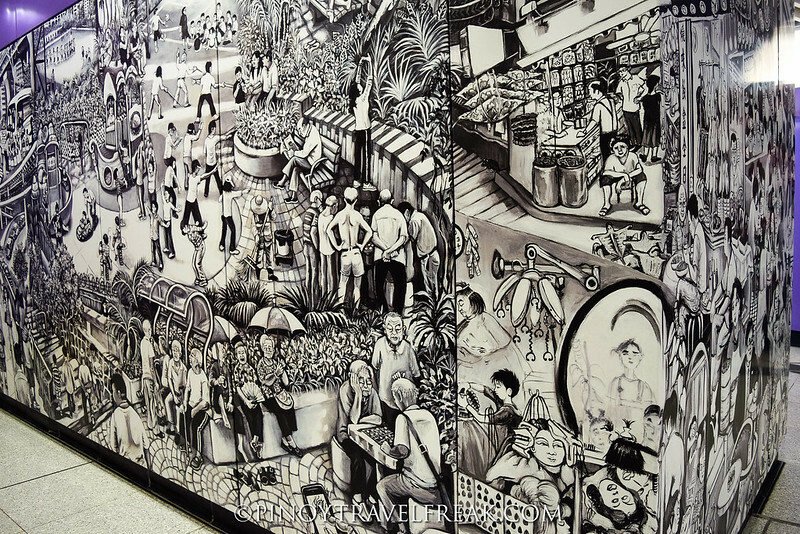 For first time visitors, some places to see include historical buildings such as Sai Ying Pun Community Complex, known colloquially as the “High Street Ghost House,” which used to be the city’s only mental hospital, Sai Ying Pun Market to experience local's public market, and Above Second Gallery for urban contemporary art gallery from local artists. 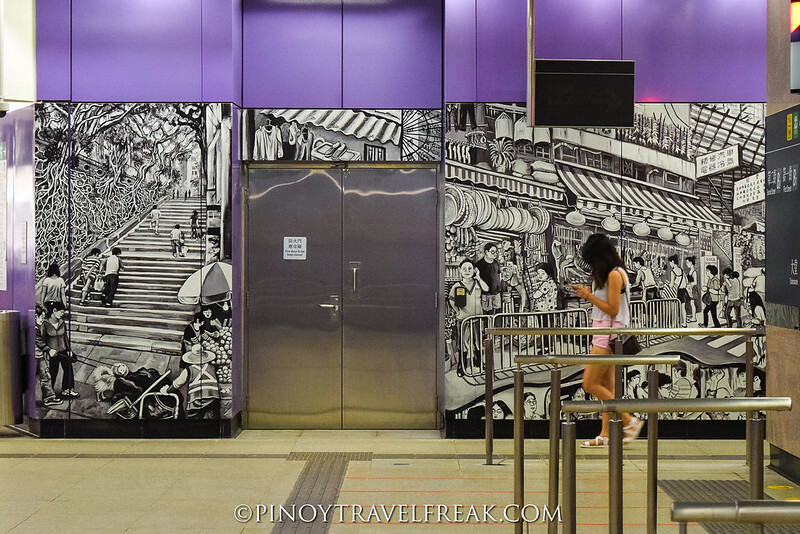 One more thing I love about Hong Kong is their appreciation for arts, and how they integrate it into various corners of the city including the MTR stations. 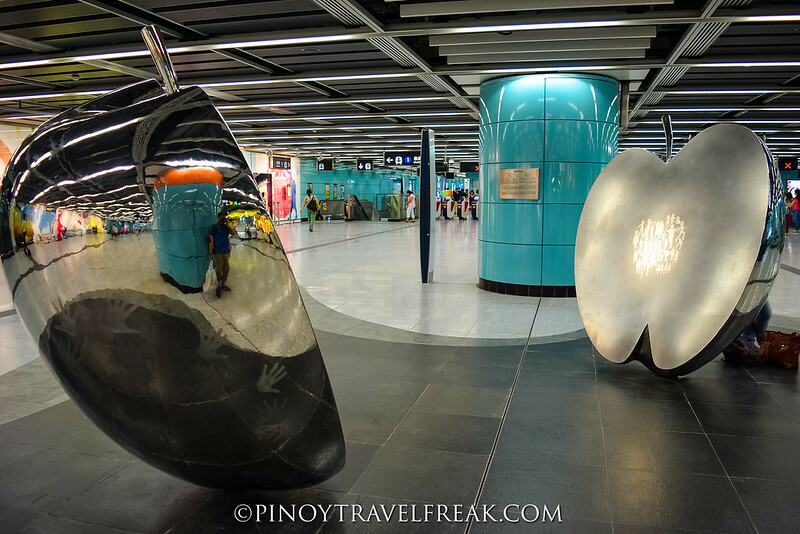 An initiative called "Airport Express Artwork Programme" started in 1998 which features amazing artworks from local and international artists found in various MTR Stations and aims to enhance the MTR journeys of passengers. 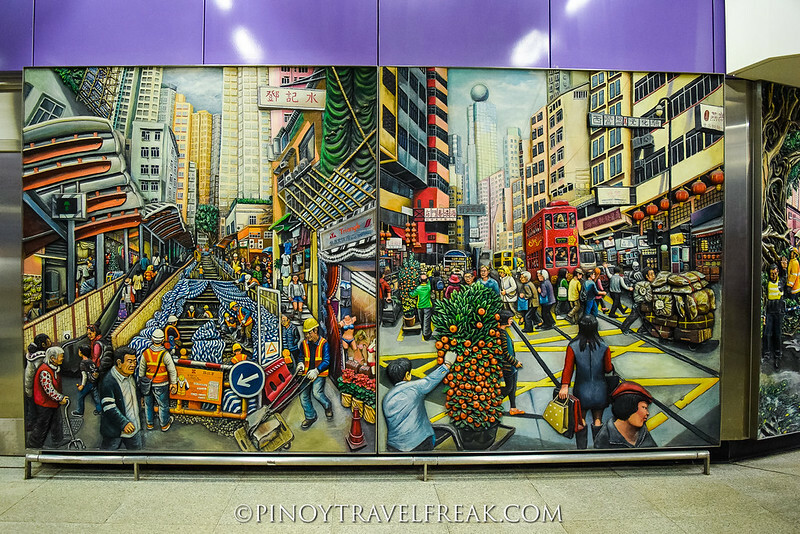 Here are the artworks found in Kennedy Town, HKU, and Sai Ying Pun stations which you shouldn't miss. 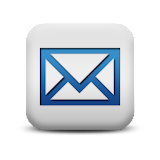 Make sure to follow Las Palmas Tours and Travel on Facebook for the latest deals on Hong Kong Tours. Don't forget to download the "My Hong Hong Guide" app on any Android and iOS phones, or visit DiscoverHongKong.com for everything you need to know about Hong Kong.